Frozen shoulders can last anything from 6 weeks to 2 or more years. They are seen more in women age 40-60. An estimated 2-5% of the population will get some degree of frozen shoulder. Usually only one shoulder is affected. It is more common in people with a history of Dupuytren’s disease, Diabetes Mellitus, overactive thyroid and Parkinson’s. Phenobarbitone and phenytoin (epilepsy medications) are also said to increase the incidence of frozen shoulders. In a frozen shoulder the shoulder joint capsule becomes inflamed and scar tissue forms in the capsule ( adhesive capsulitis), thus thickening it and making it less flexible, and reducing the nutrition to the joint. the freezing phase where the shoulder becomes increasingly more painful and less mobile. the frozen phase where the pain is less but movements are very limited. 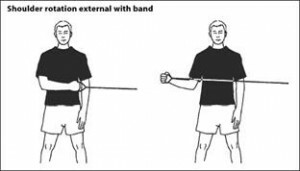 the thawing or recovery phase where slowly the range of movement increases again. The whole process can take 2-3 years, sometimes more. 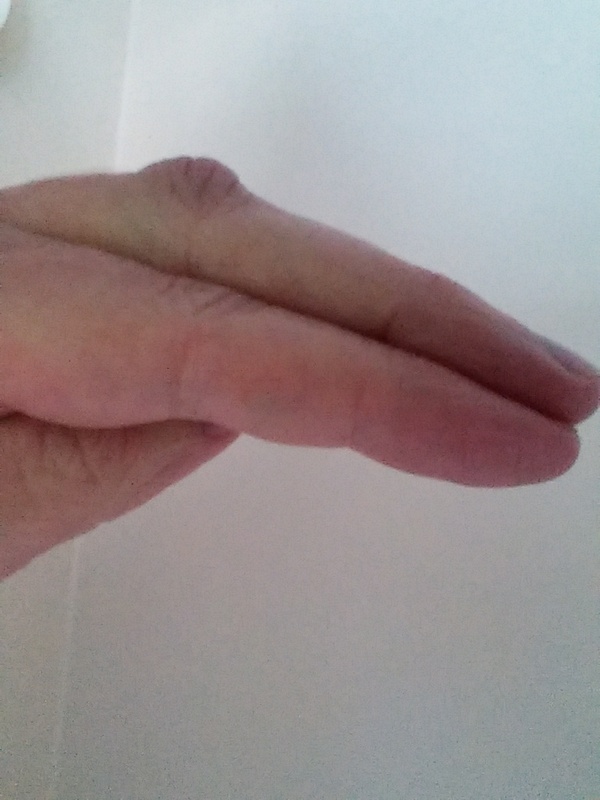 These are lumps on the dorsal (back) of the finger joints, mainly affecting the PIP joint (the finger joint closest to the hand), and less often the knuckle! They can look like calluses or plaques on the skin, where the skin thickens and loses its elasticity. They are caused by fibrous tissue in or under the skin. The thumb does not tend to be affected. This person has a Garrod’s pad on the PIP joint of the left little finger. People who have Garrod’s pads often have Dupuytren’s Contracture as well, but Garrod’s pads can also be unrelated and caused by repeated trauma to the joint (for instance repeated sports or work trauma). 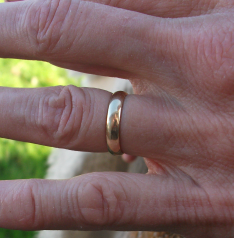 All calluses on a finger joint are called Garrod’s pads, but not all are Dupuytren’s related. Usually the pads do not cause any problems and do not need any treatment, but sometimes they can be painful. Steroid injections or in rare cases radiotherapy might help. Surgery to remove the pads is likely to result in scarring, and is usually not recommended. Keratolytics (e.g. salicylic acid or urea) to soften the skin can also be helpful. Recent research suggests that it is possible that Garrod’s Pads are completely different from Dupuytren’s nodules and that the supposed correlation has been a result of misdiagnosed dorsal Dupuytren’s nodes. As dorsal nodules progress they can make it painful and sometimes impossible to form a fist at all, whereas nodules on the front of the hand make the finger bend towards the palm. Garrod’s pads don’t tend to cause any problems. 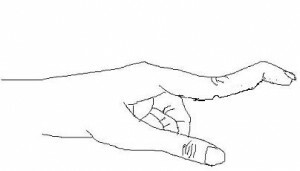 If the nodule progresses to a contracting cord it can lead to a rare condition called a ‘swan neck deformity’ (see drawing) where the first joint is permanently bent upwards because of the nodule contracting over the tendon, and the last finger joint bends down. This is very rare as most dorsal nodules don’t contract. If these nodules cause a problem, surgery is a possibility, but as with all Dupuytren’s related condition the possibility of conditions worsening and scarring of the finger should be taken into consideration. There is little information on treatment, but treatments that work for palmar Dupuytren’s are the most likely ones to be considered for dorsal nodules. Radiotherapy has been used, in some (no more than 50%) of the cases it managed to soften the nodules. How much chance there is of fibrosis of the joint after radiotherapy so close to a joint we don’t know, but it would need careful consideration before making a decision on this. Keloid formation is a condition where people produce a lot of hard scar tissue for a relatively minor wound, over a larger area than the original wound. Scar tissue contains collagen, and this has caused speculation as to whether keloids are related to Dupuytren’s. Keloid formation is seen more in people of African origin (unlike Dupuytren’s which is rare in people of African descent). Also, keloids affect the head and neck more than the limbs. 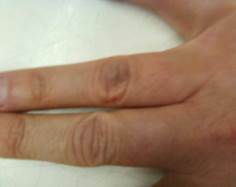 Keloid scarring is associated with unexplained carotid atherosclerosis (plaque formation in the arteries to the brain), which is not typical for Dupuytren’s patients. Most doctors consider keloid formation to be unrelated to Dupuytren’s, even though studying one problem can give insights into the disease process of the other. For this reason some doctors have a special interest in both diseases.